Providing food, shelter, help and hope to Missoula’s homeless and hungry. For over 40 years, the Poverello Center has provided a necessary safety net for our community members living in hunger and homelessness. 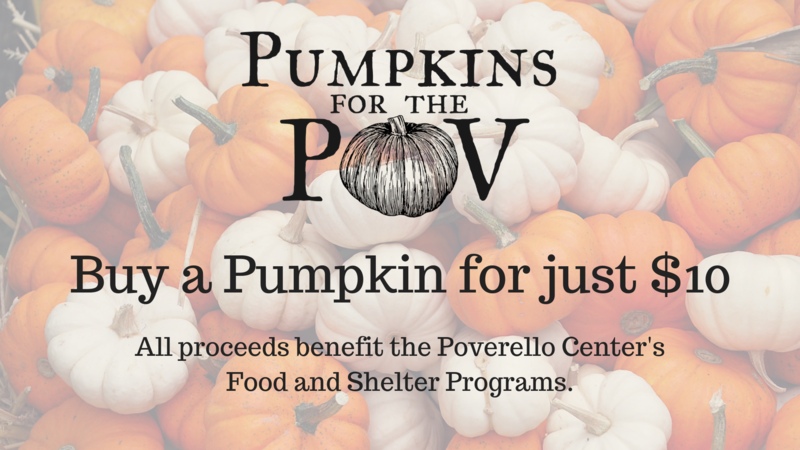 An award winning non-profit organization, the Poverello Center provides education, advocacy, and a multitude of services to improve the health, well-being, and stability of people struggling with poverty in Missoula. Pumpkins will be available starting October 1st at the following locations. 40 Percent of our shelter Guests have income but struggle to find housing in Missoula's competitive market.